It may be difficult to believe it, but it's been 35 years since Lady Diana Spencer walked up the aisle of St. Paul's Cathedral to marry the Prince of Wales. 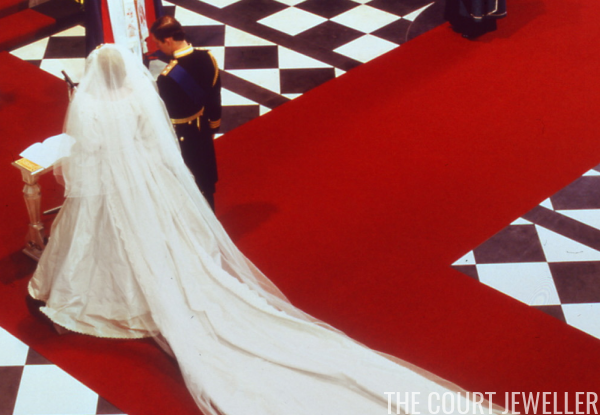 You can relive their iconic royal wedding in Charles and Diana: The Wedding of the Century, which was produced by ITV for the 30th anniversary in 2011. Enjoy! 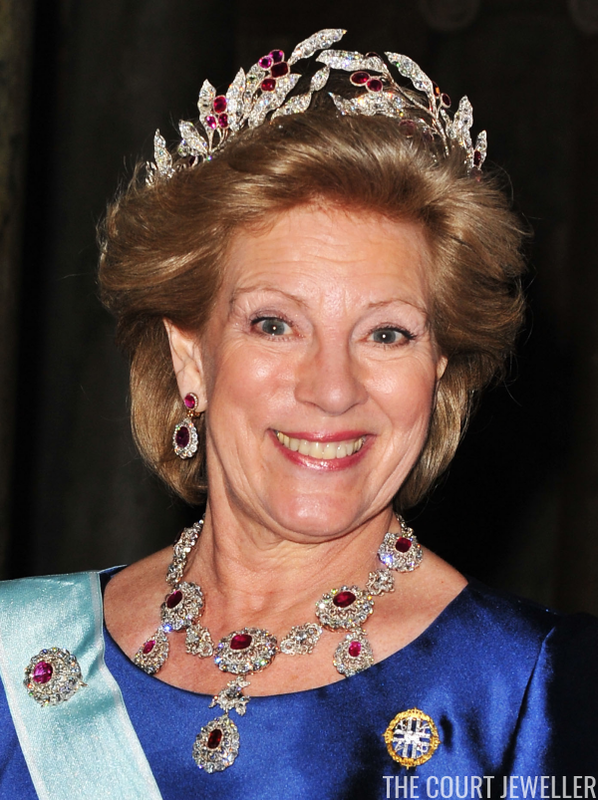 They may live in one of the tiniest countries in Europe, but the grand ducal family of Luxembourg has a jewelry vault that is absolutely enormous. 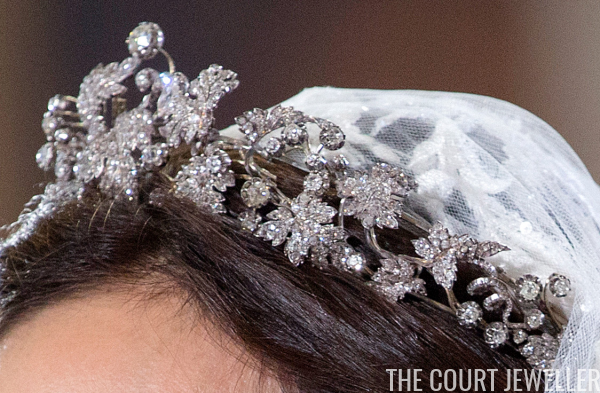 Today, we're looking at one of their two diamond floral tiaras: the Diamond Vine Leaves Tiara. Photo used with the kind permission of reader Suzanne. 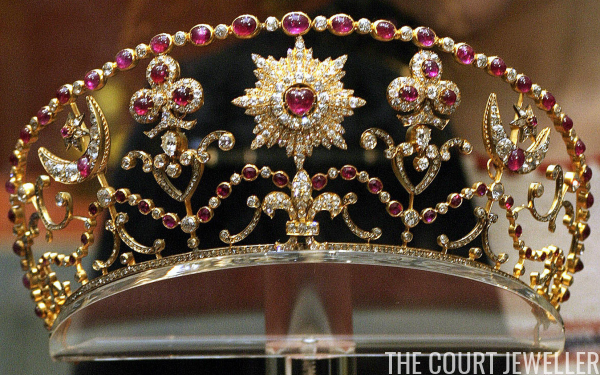 If you are in Singapore or will be visiting over the next few months, here's a heads up: Princess Charlene's Ocean Tiara is on display! 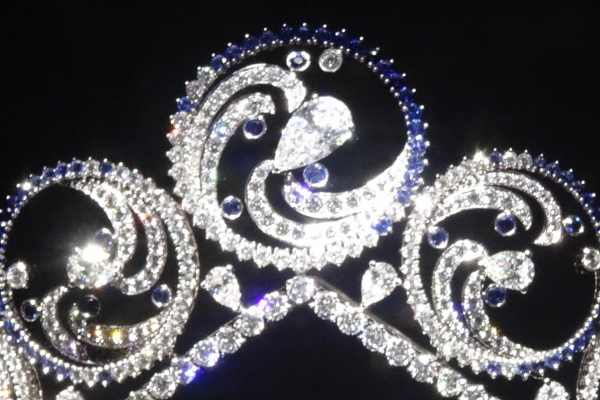 Lovely reader Suzanne e-mailed me with details about the exhibition, "Van Cleef and Arpels: The Art and Science of Gems," where the tiara is being displayed. Here's a link to the official website of the exhibition for more; it runs until August 14. 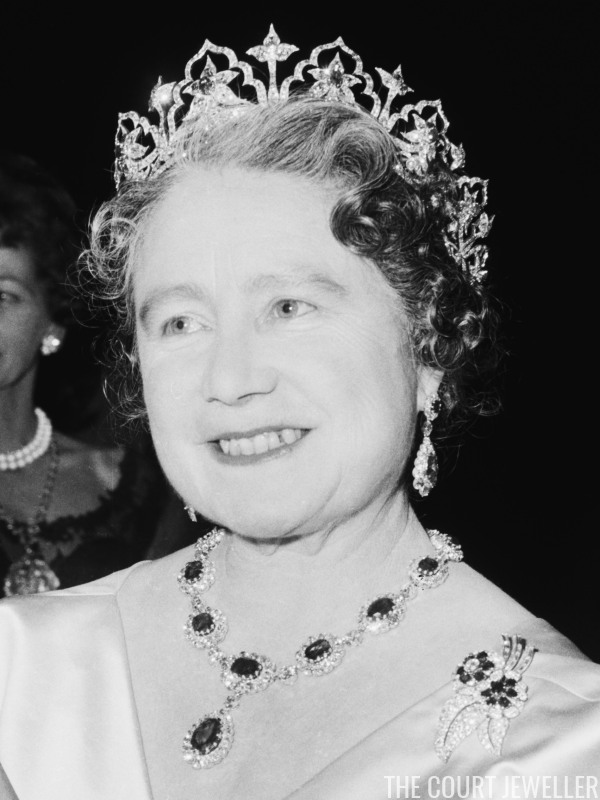 Jewels are rented by the day or night in London. 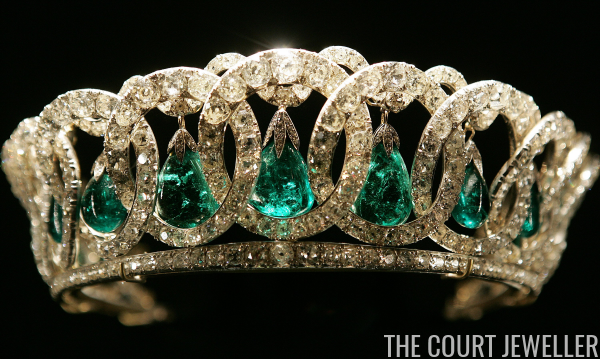 This jewel renting is now the most popular thing in the way of acquiring "borrowed plumage" . 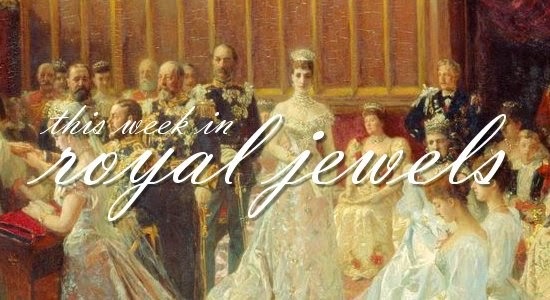 The renting of jewels started years ago, but has increased rapidly and is now at the height of its popularity. The fact that jewels can be rented is just being discovered by those of the great "middle class," who are hastening to take advantage of it. Already the poor but haughty lady of rank who wished to keep the world from knowing her real financial condition has learned the secrets of this borrowed finery. 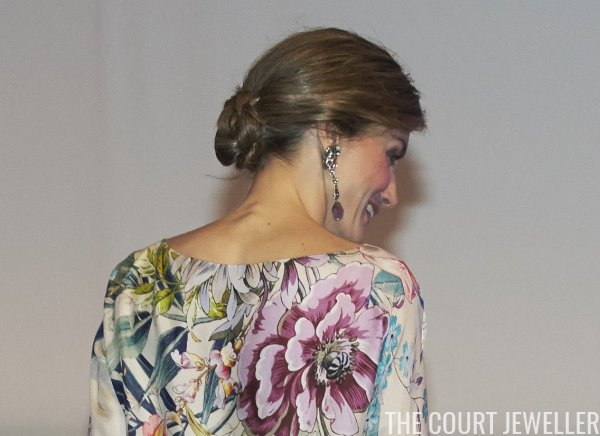 Queen Letizia of Spain's love for floral earrings just keeps getting stronger, as demonstrated by the lovely baubles she wore today at the XXV FEDEPE Awards Ceremony in Madrid. Here in my corner of the United States, July is drawing to a hot and muggy close. 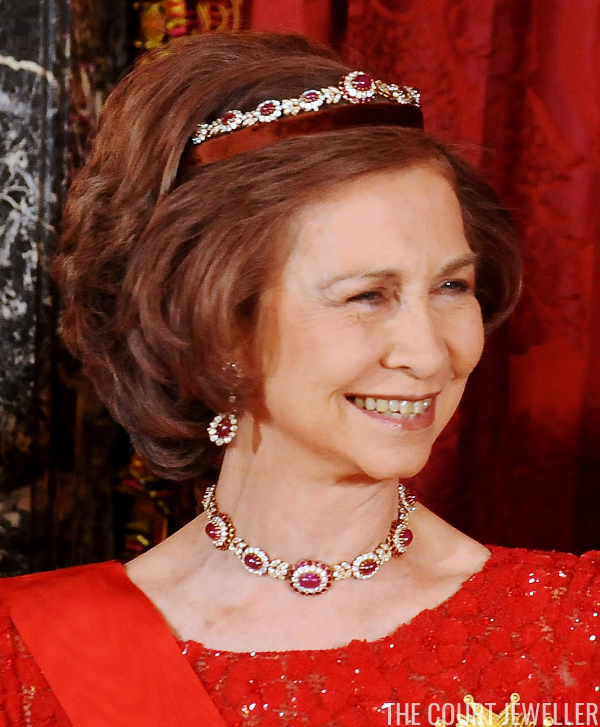 To help brighten things up, let's have another look at more royals wearing July's birthstone -- this time, in necklace form! Prince Albert II and Princess Charlene of Monaco attended the 68th annual Red Cross Gala on Saturday, and Charlene brought some major sparkle with her to the event. The Duke and Duchess of Cambridge were in Portsmouth this morning, visiting the Land Rover BAR boat shed at the America's Cup World Series. 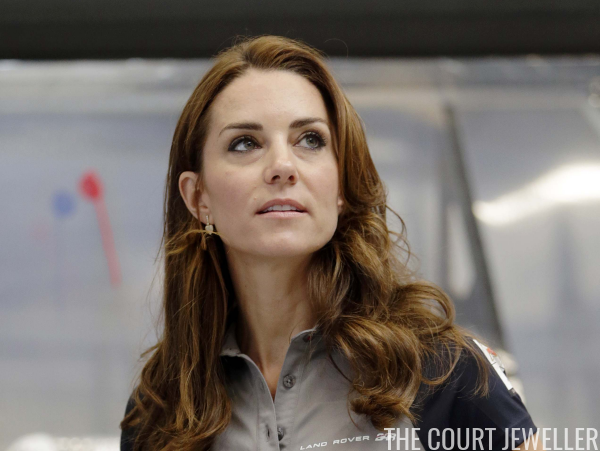 Kate wore a familiar pair of earrings for the visit: her Kiki McDonough Lauren earrings. 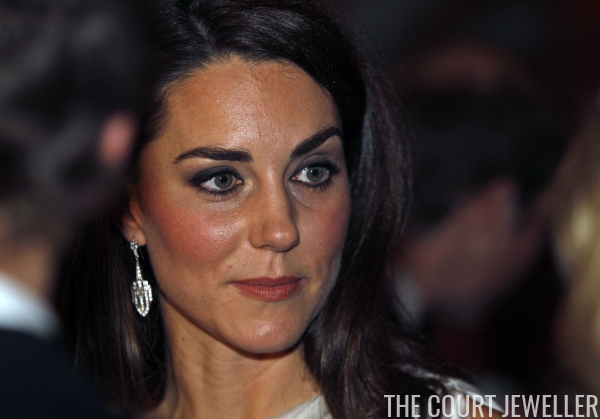 The Duchess of Cambridge is rarely seen out and about in public without a pair of earrings. 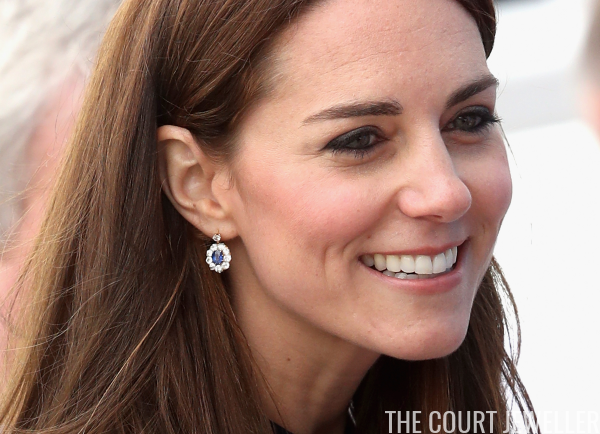 Today, we're looking at one of the staples of her collection: her diamond and sapphire cluster drop earrings. 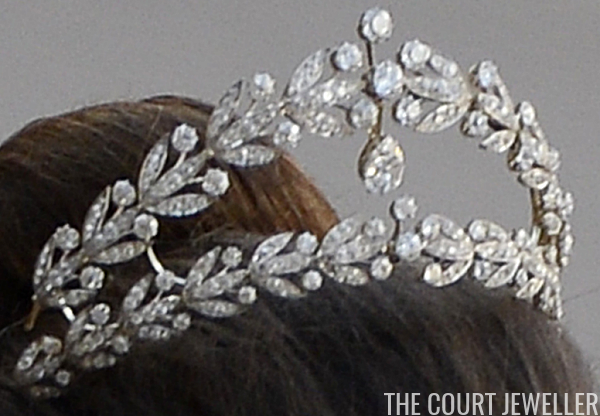 Today’s tiara comes from the collection of the (arguably) most royal of all the branches of the Windsor family: the Kents. 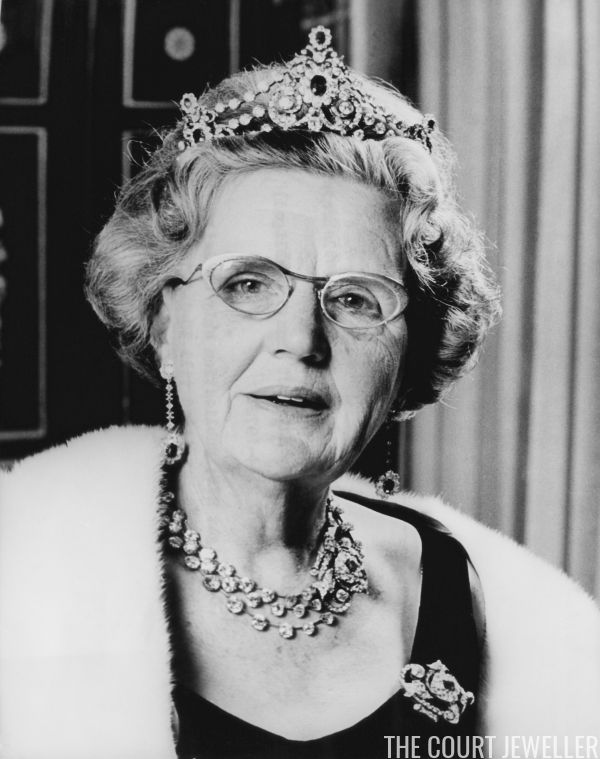 This is the diamond and pearl festoon tiara that once belonged to Princess Marina. 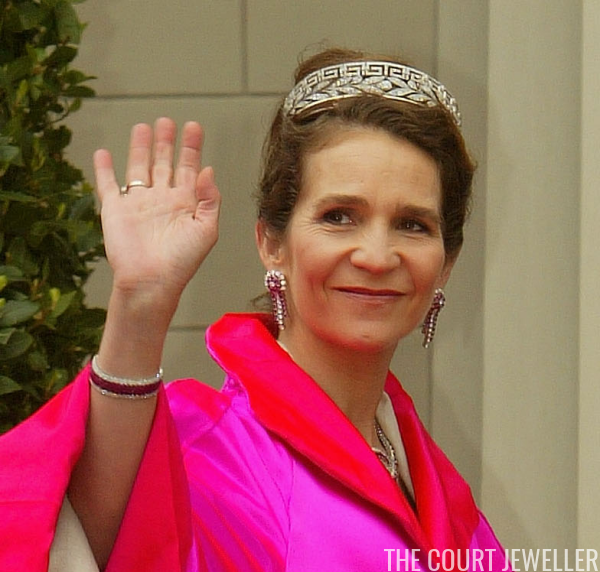 Earrings and brooches stole the show this week. Don't forget to vote for your favorites in our weekly poll! I'm not sure I thought it was possible for Queen Letizia to wear an even larger pair of statement earrings, but here we are! Happy National Day to all of our lovely readers from Belgium! Today is the annual celebration of the inauguration of King Leopold I in 1831. 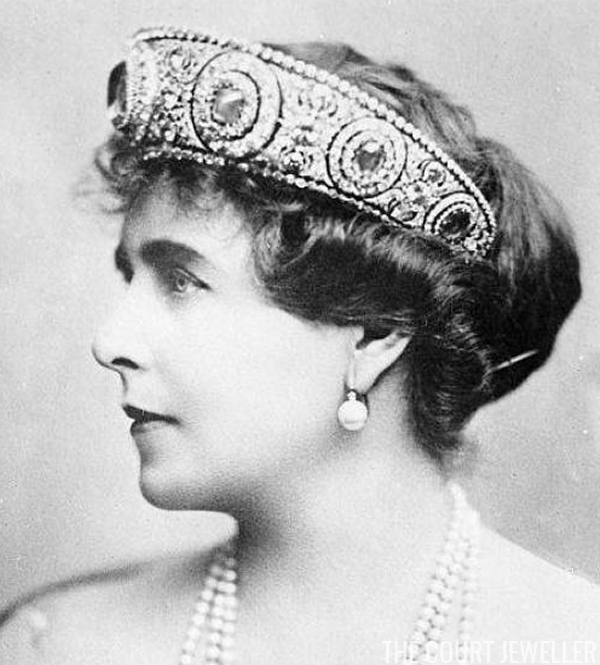 To help add some glitter to the day, we're looking at one of the family's most delicate, lovely tiaras: the diamond diadem worn by Princess Claire at her wedding to Prince Laurent. 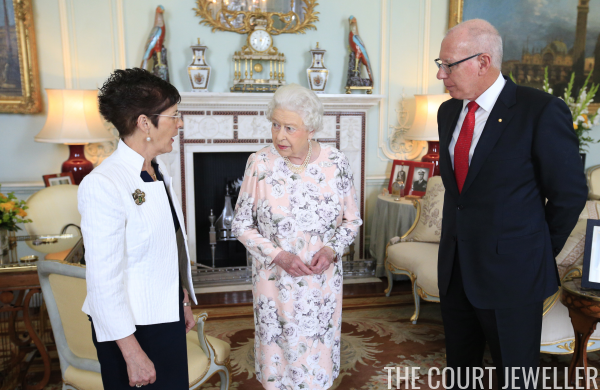 Queen Elizabeth II held a private audience at Buckingham Palace on Tuesday with David Hurley, the Governor of New South Wales, and his wife, Linda. For the audience, we had another outing of a brooch worn recently: the Graving Dock Diamonds Brooch. 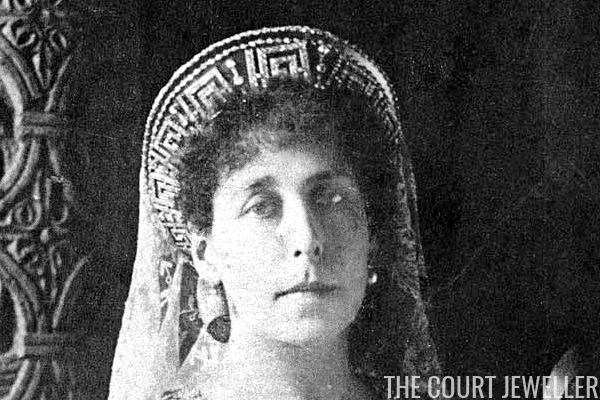 One of the most unusual tiaras in any royal collection is today's topic of discussion: the Boucheron Laurel Wreath Tiara. 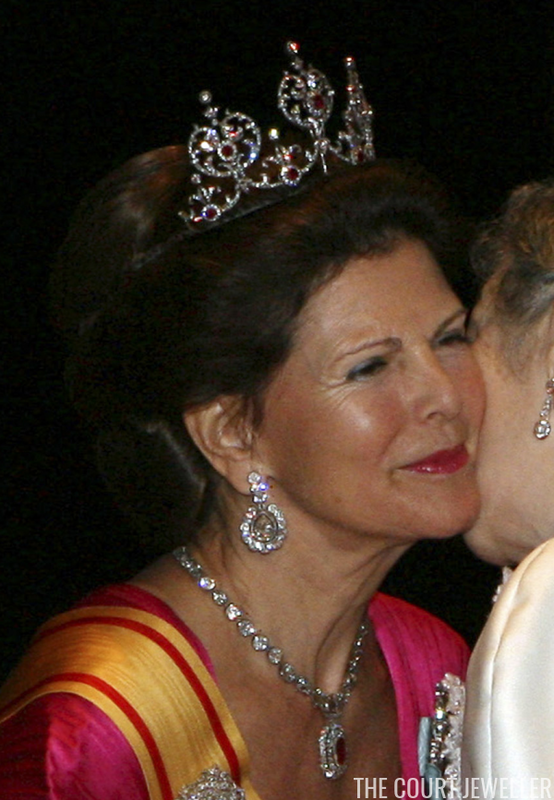 The sparkler, which belongs personally to Crown Princess Victoria of Sweden, has a lengthy and interesting history within the Bernadotte family. "Have you the latest things in kissing bugs?" inquired a smart young woman of a downtown importer of fads and fancies in jewelry. The jeweler did not smile. He did not even look surprised. The bug habit has reached such colossal proportions by this time that he is prepared for almost anything. At this season the Washington girl who does not wear a yellow dragonfly, a pink mosquito, or a green and grinning lizard is considered woozy by her fair feminine friends. 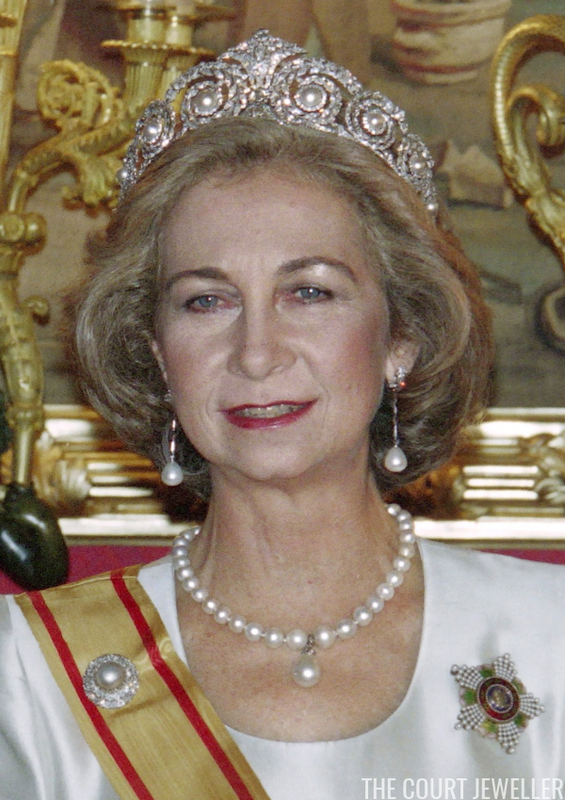 I've been getting questions for months about the fate of the Tiarapedia -- the original encyclopedic roster of royal tiaras that began way back in 2008 at Mad Hattery. And, surprise: it's back! 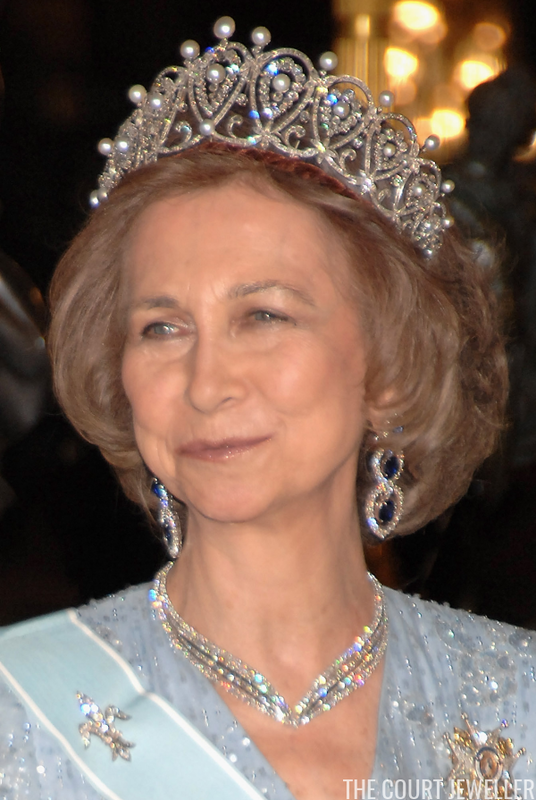 I'm rebuilding the index of currently-worn royal tiaras here at The Court Jeweller. 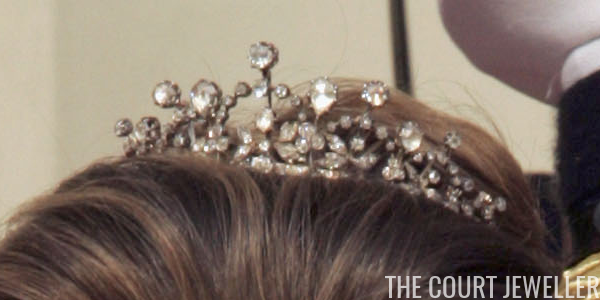 You can find a link to the new Tiarapedia up in the navigation bar at the top of the blog. 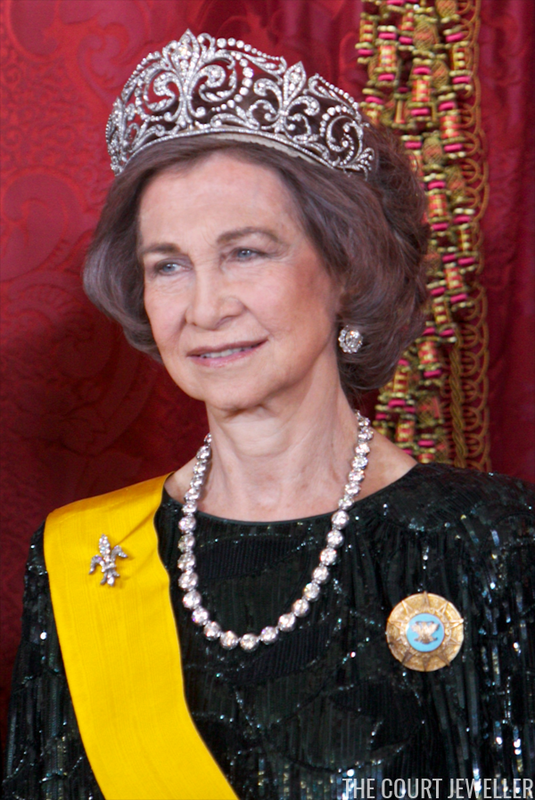 You can also access the new Tiarapedia from tiarapedia.com! 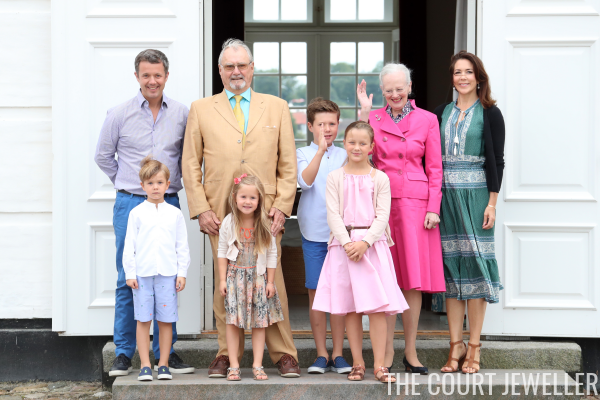 The Danish royal family held their annual portrait session at Grasten Castle on Friday. Although the group was slimmed down a bit -- Joachim and Marie's family did not attend -- we still got to see a bit of sparkle on display. 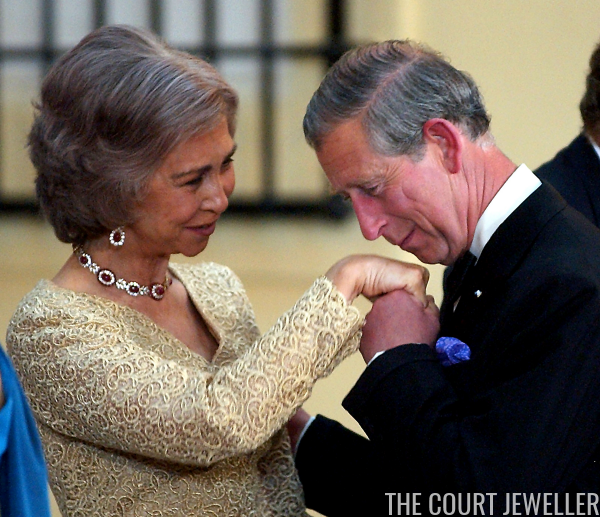 Time for this week's bonus royal photos! Enjoy! 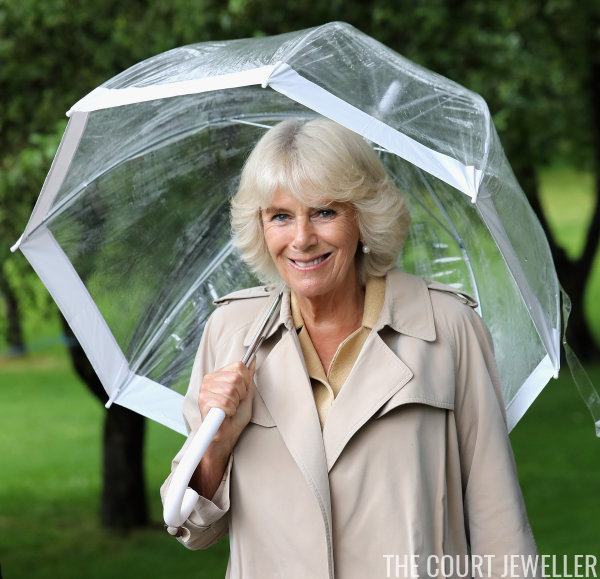 Happy birthday to the Duchess of Cornwall! 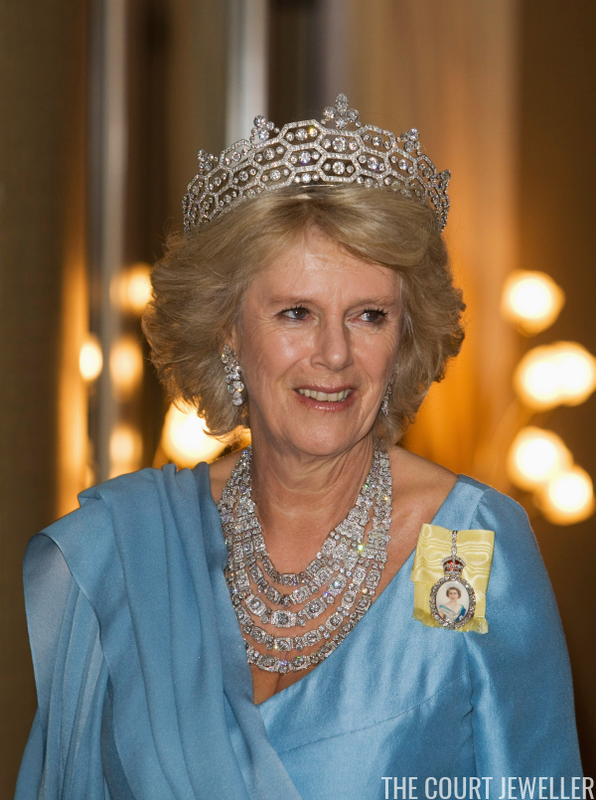 Camilla turns 69 years young today, and to celebrate, we're looking at some of the most amazing necklaces she's worn so far during her tenure as a Windsor. 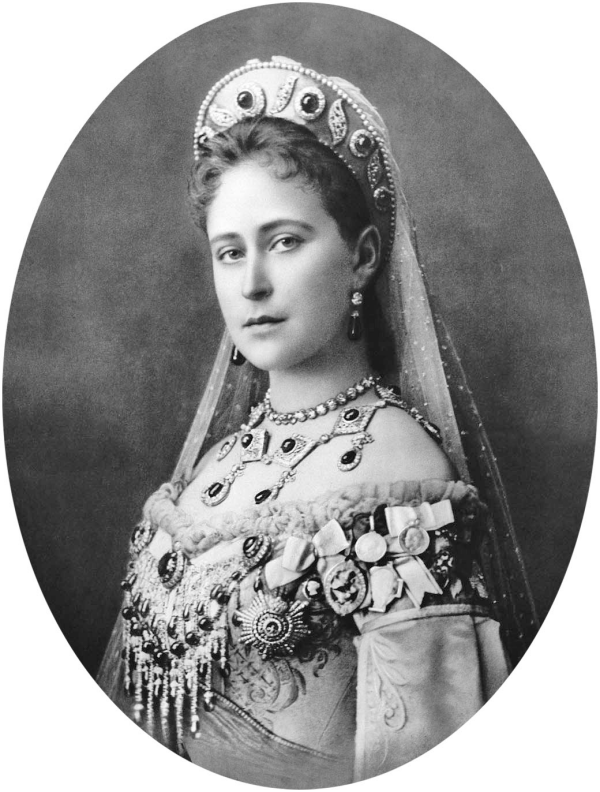 When you first dig into the history of the Scandinavian royal families, one of the first things you notice is the plethora of empresses, queens, and princesses named "Josephine" in the family tree. 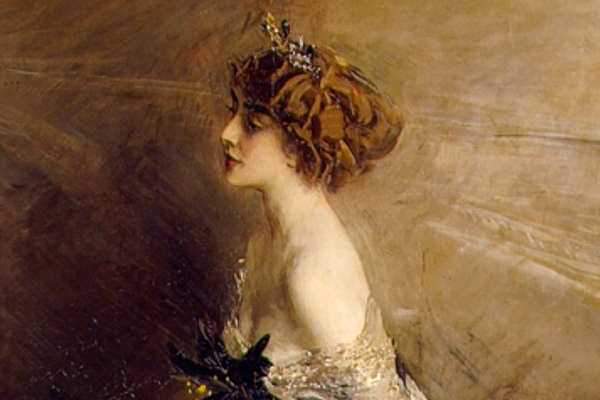 Because of that, there are many opportunities to confuse the royal Josephines with their various tiaras. 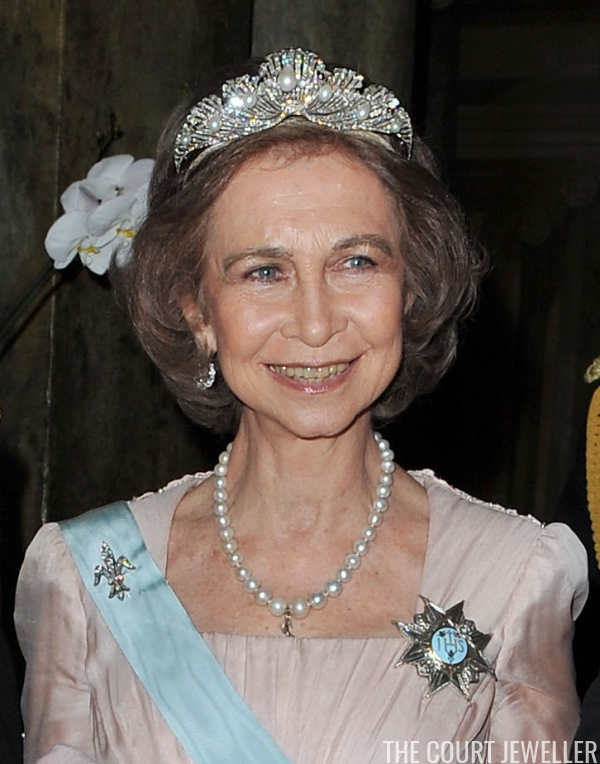 But the Josephine associated with this lovely diamond tiara is clear: it comes from Queen Josefina of Sweden and Norway (née Princess Joséphine of Leuchtenberg), the wife of King Oscar I and the granddaughter of another famous Josephine (that would be Napoleon’s Empress Joséphine). So many Josephines! The summer holidays are nearly here, but we still have some jewelry pieces to ooh and ahh over. Be sure to vote for your favorite in the poll below! 10. 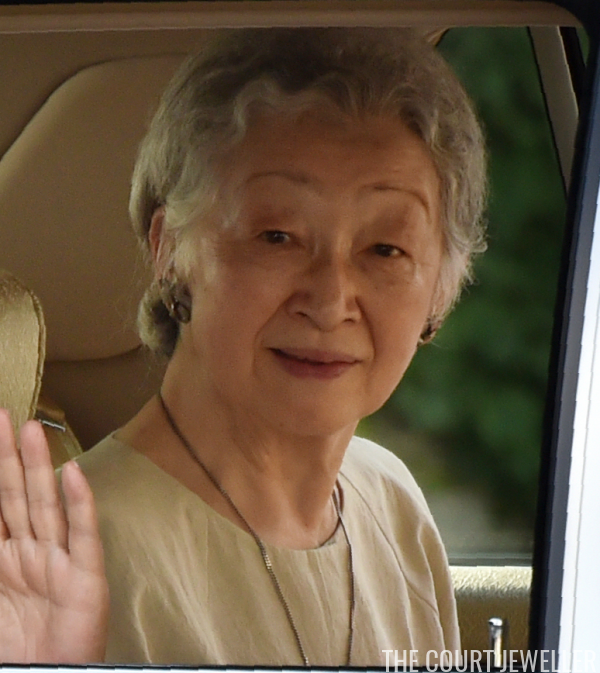 While the media was reporting -- and the IHA was denying -- rumors that Emperor Akihito of Japan was considering abdication, he and Empress Michiko made a public appearance outside the imperial villa in Hayama. Michiko wore a long necklace and a really interesting pair of statement earrings. 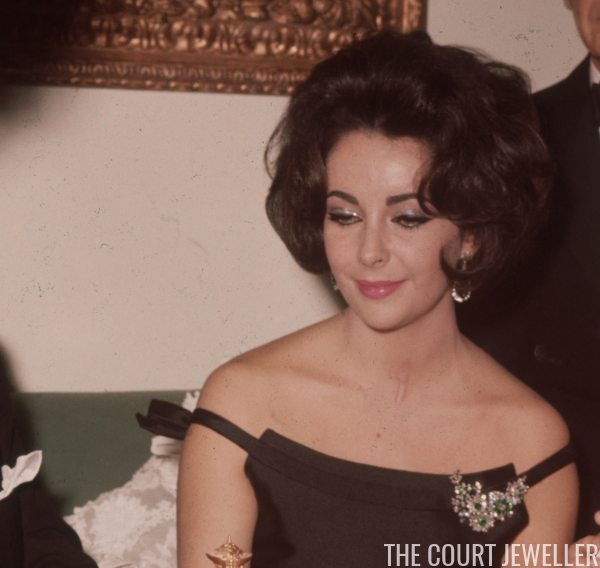 If you're in London this weekend, you owe it to yourself to drop in at Bulgari's flagship in New Bond Street, where the firm is displaying several pieces of jewelry owned by the late Elizabeth Taylor. Happy Victoriadagen, everyone! 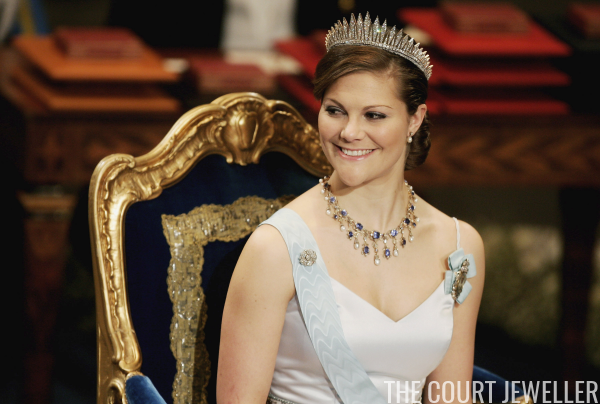 Today is Crown Princess Victoria of Sweden's birthday, and to celebrate, we're looking at one of my favorite pieces of Swedish royal jewelry: a necklace that the family calls the "Processional Jewels." 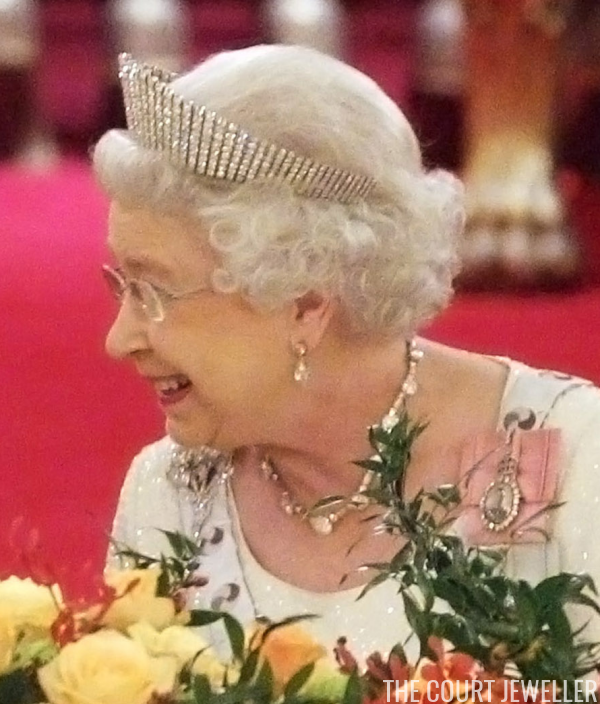 It's a big day for Queen Elizabeth II of the United Kingdom -- she met her thirteenth prime minister at Buckingham Palace. But before venturing back to London to handle that bit of government business, she and the Duke of Edinburgh toured the new East Anglia Air Ambulance base at Cambridge Airport. 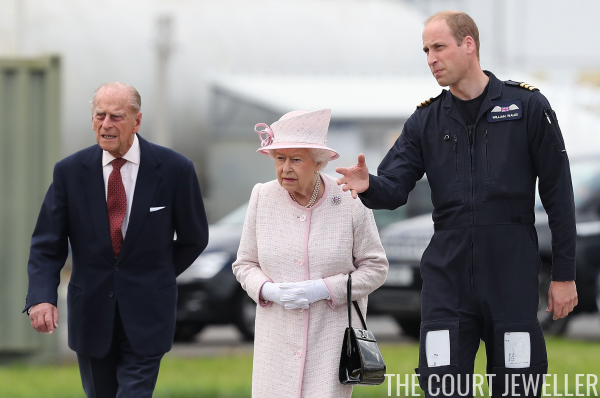 A special employee -- their grandson, the Duke of Cambridge -- was on hand to show them around.